Enjoy the popular modern look in your bathroom with this beautiful vanity. Room is no problem with this vanity because it comes with a double-door cabinet and drawers. Put a nice touch on your bathroom's look with this vanity set from Wyndham Collection. Amare 60-inch W 4-Drawer 2-Door Wall Mounted Vanity in Brown With Top in Green, Double Basins Enjoy the popular modern look in your bathroom with this beautiful vanity. Room is no problem with this vanity because it comes with a double-door cabinet and drawers. Put a nice touch on your bathroom's look with this vanity set from Wyndham Collection. 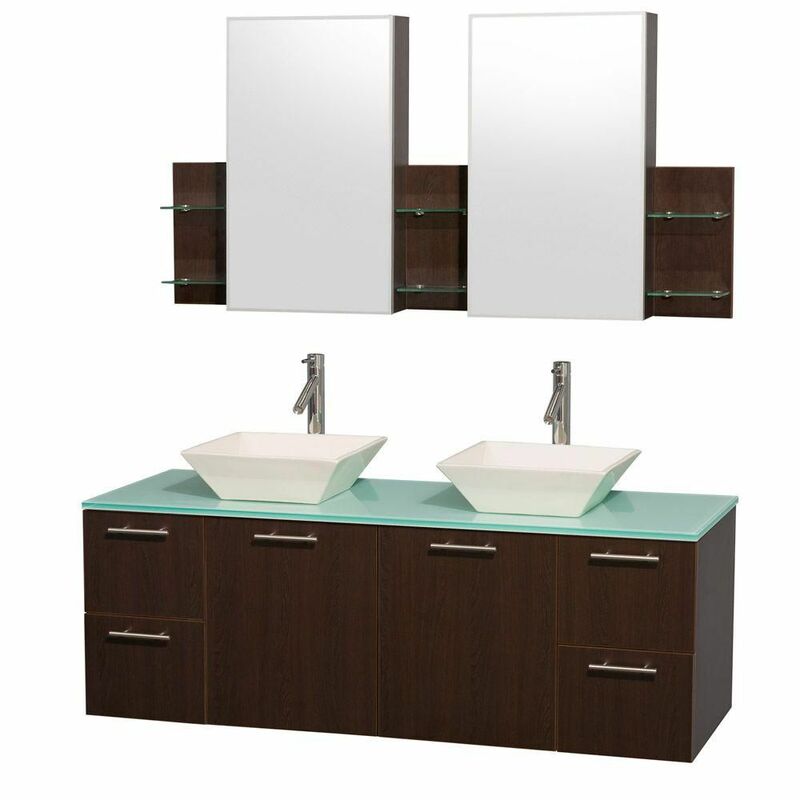 Amare 60-inch W 4-Drawer 2-Door Wall Mounted Vanity in Brown With Top in Green, Double Basins is rated 4.0 out of 5 by 1. Looking at purchasing this vanity set does it come with the sinks?